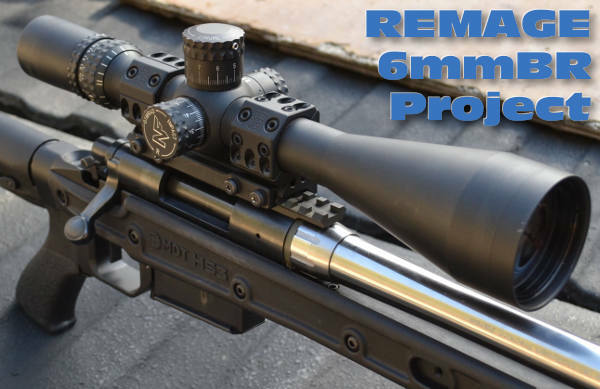 What do you get when you cut a 6.5 Creedmoor-chambered barrel down to just over 16 inches? A lot more velocity than you might think. 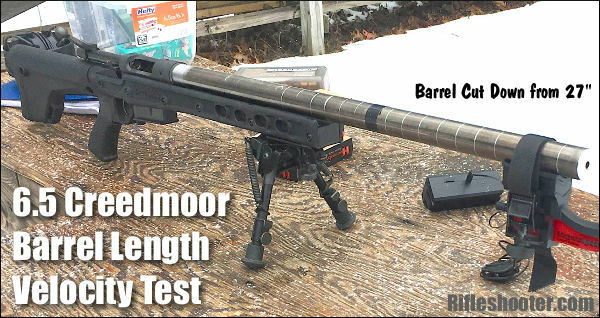 Our friends at Rifleshooter.com recently did a barrel cut-down test with 6.5 Creedmoor test rifle, shortening the barrel from 27 to 16.1 inches in one-inch increments. 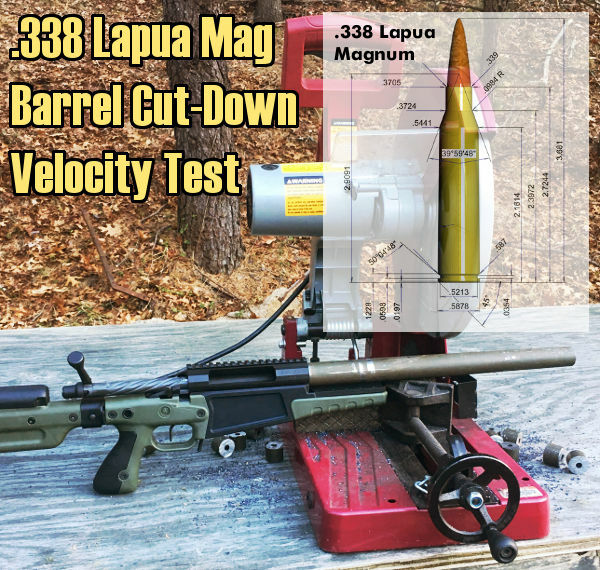 Surprisingly, with a 142gr Sierra MK, the total velocity loss (as measured with a Magnetospeed) was just 158 FPS, an average of 14.4 FPS per inch of barrel length. 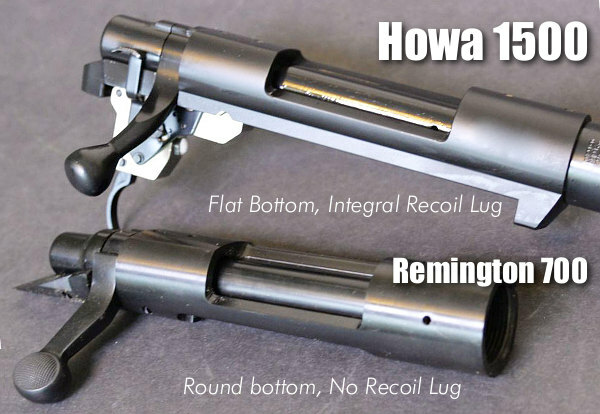 With the lighter 120gr A-Max bullet, the total velocity loss was 233 FPS, or 21.8 FPS average loss per inch of barrel. To perform this velocity test, our friend Bill, Rifleshooter.com’s editor, built up a 6.5 Creedmoor rifle using a Remington Model 7 action, 1:8″ twist Green Mountain CM barrel, and MDT LSS Chassis, all obtained from Brownells.com. Five (5) rounds of each type of cartridge were fired at each barrel length and the velocity data was recorded with a MagnetoSpeed V3 barrel-mounted chronograph. 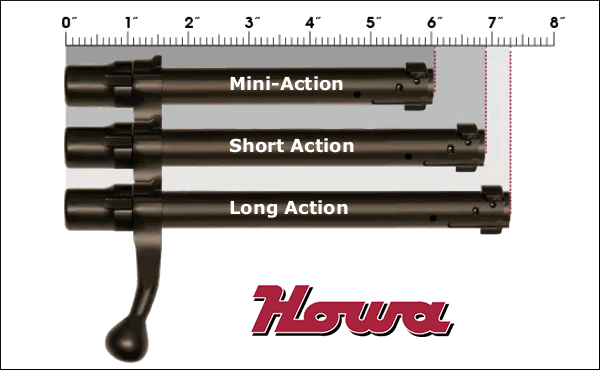 The rifle was then cleared and the barrel was cut back one inch at a time from 27″ to just over 16″. NOTE: During this winter test, the air temperature was a very chilly 23° F. One would expect higher velocities across the board had the outside temperature been higher. 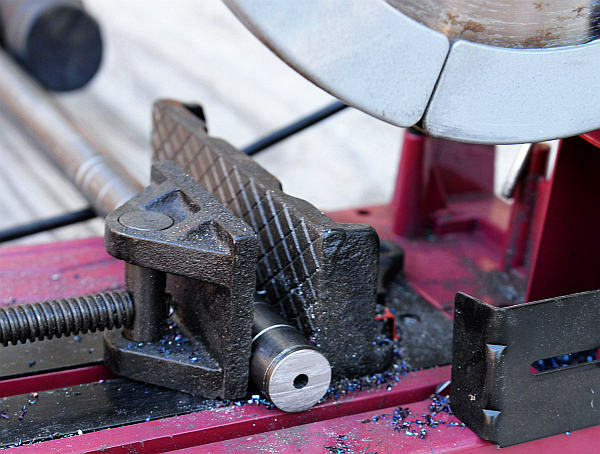 The photo below shows how the barrel was cut down, inch-by-inch, using a rotary saw. The barrel was pre-scored at inch intervals. As the main purpose of the test was to measure velocity (not accuracy) the testers did not attempt to create perfect crowns. 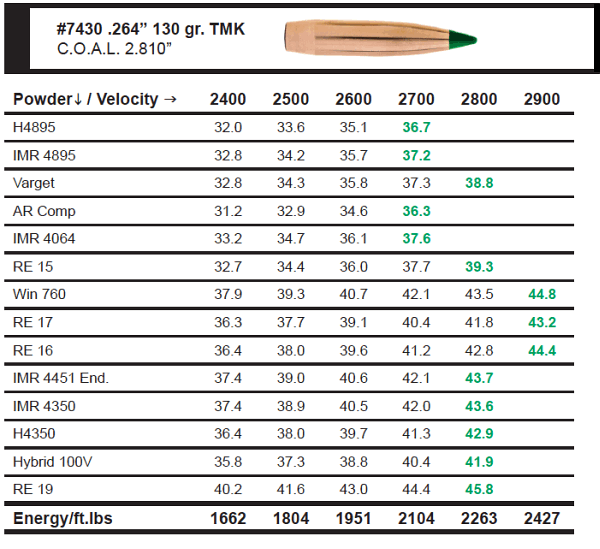 The 6.5 Creedmoor is a very popular cartridge with the tactical and PRS crowd. 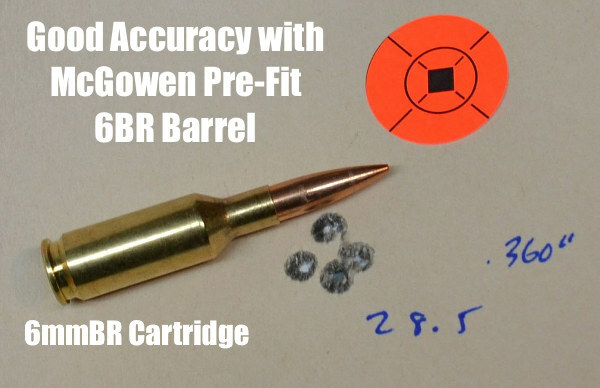 This mid-size cartridge offers good ballistics, with less recoil than a .308 Winchester. There’s an excellent selection of 6.5mm bullets, and many good powder choices for this cartridge. 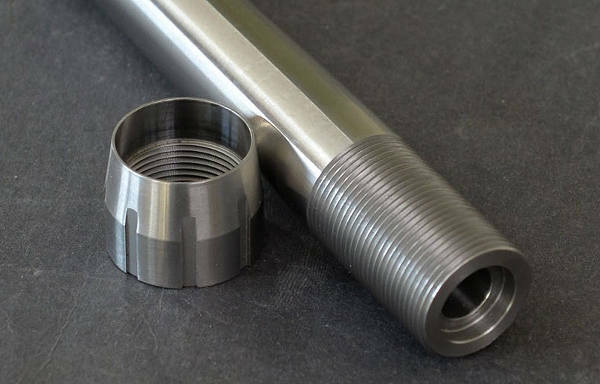 When compared to the very accurate 6.5×47 Lapua cartridge, the 6.5 Creedmoor offers similar performance with less expensive brass. For a tactical shooter who must sometimes leave brass on the ground, brass cost is a factor to consider. Here’s a selection of various 6.5mm mid-sized cartridges. Left to right are: 6.5 Grendel, 6.5×47 Lapua, 6.5 Creedmoor with 120gr A-Max, 6.5 Creedmoor with 142gr Sierra MK, and .260 Remington. 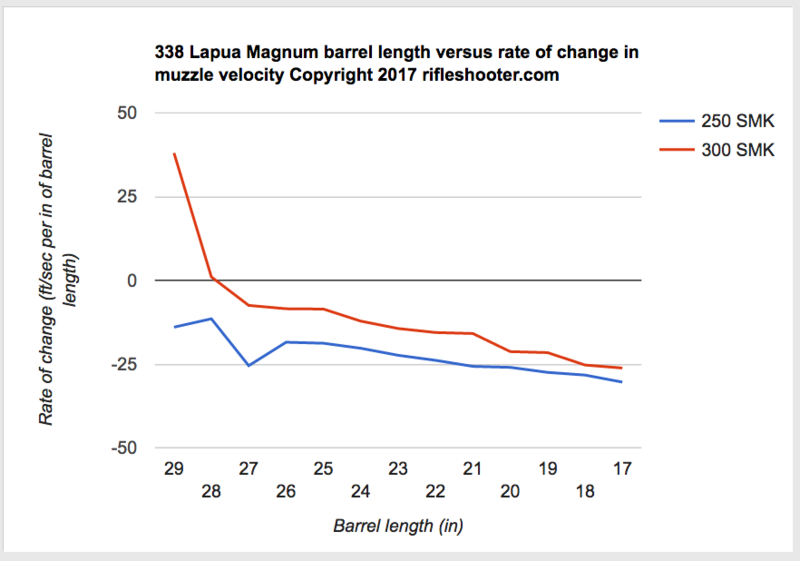 When asked to compare the 6.5 Creedmoor to the 6.5×47 Lapua, Rifleshooter.com’s editor stated: “If you don’t hand load, or are new to precision rifle shooting, get a 6.5 Creedmoor. 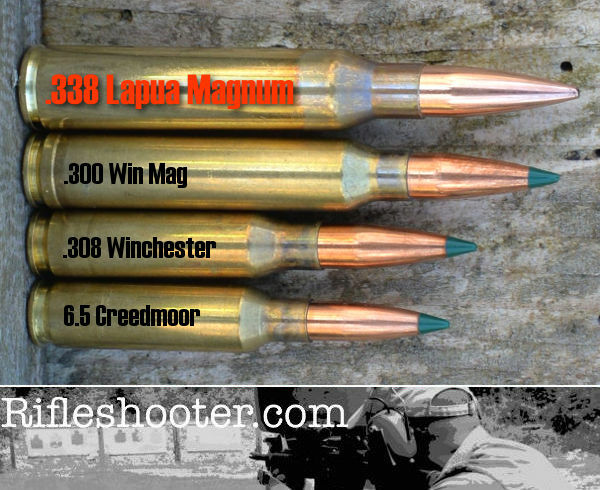 If you shoot a lot, reload, have more disposable income, and like more esoteric cartridges, get a 6.5×47 Lapua. 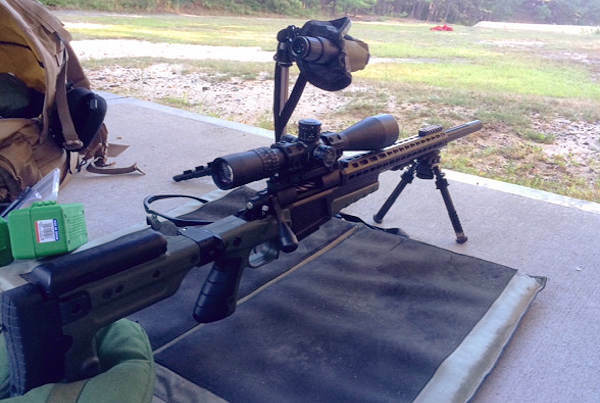 I am a big fan of the 6.5×47 Lapua. 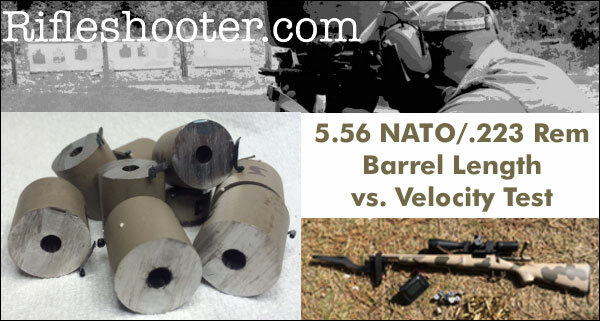 In my personal experience, the 6.5×47 Lapua seems to be slightly more accurate than the 6.5 Creedmoor. 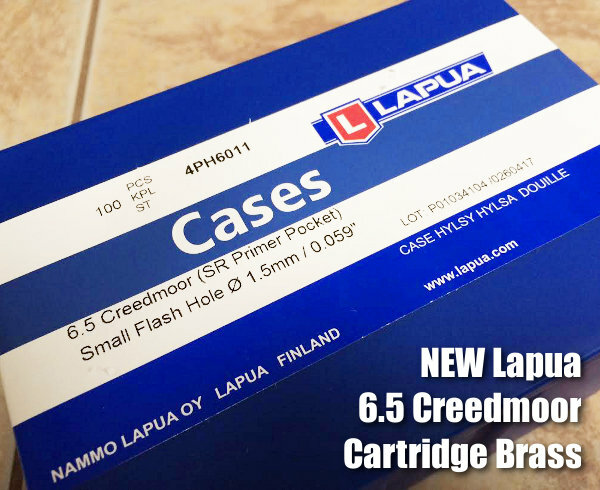 I attribute this to the quality of Lapua brass.” Now that Lapua offers 6.5 Creedmoor brass with small primer pockets, the 6.5 Creedmoor is even more attractive. 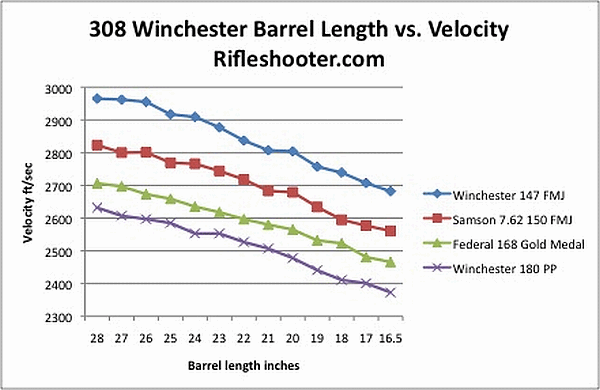 Share the post "6.5 Creedmoor Barrel Length Test — Velocity Per Inch Revealed"
Velocity vs. barrel length — How much speed will I sacrifice with a shorter barrel? Hunters and competition shooters often ask that. 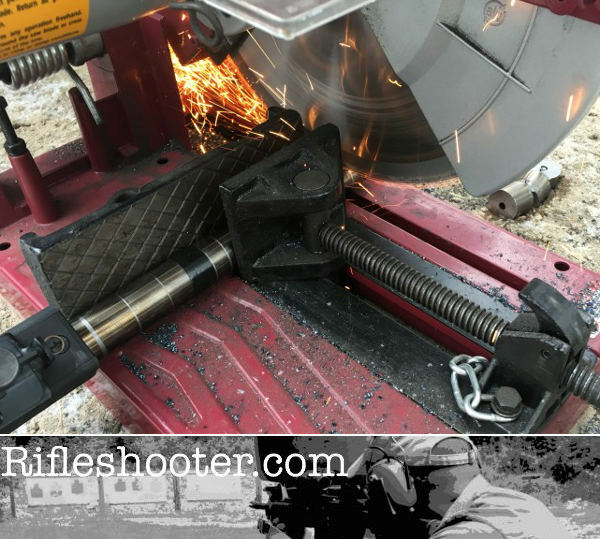 Today we DO have solid answers to that question for many cartridge types thanks to Rifleshooter.com. 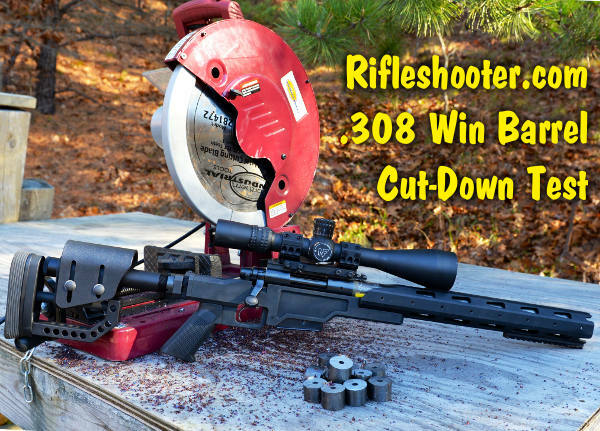 Rifleshooter.com has conducted a series of barrel cut-down tests for many popular chamberings: .223 Rem, 6mm Creedmoor, .243 Win, 6.5 Creedmoor, .308 Win, .300 Win Mag, .338 Lapua Magnum and more. 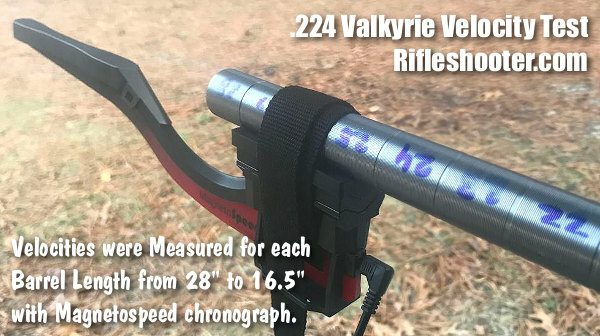 And recently Rifleshooter.com added the new .224 Valkyrie cartridge to the list, cutting a 28″ Shilen barrel down to 16.5″ in one-inch increments. 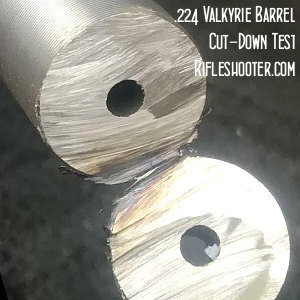 Rifleshooter.com measured the .224 Valkyrie’s velocities at each barrel length with four different types of factory ammo. 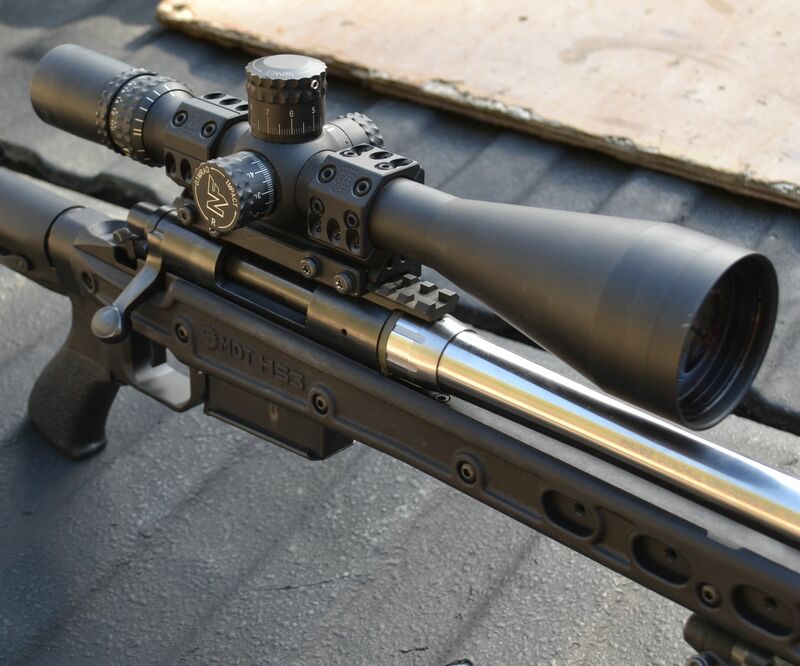 For its .224 Valkyrie test, RifleShooter.com sourced a Shilen Match Barrel and fitted it to a Rem 700 short action employing a one-piece PT&G bolt with the required .440″ (SPC-sized) bolt-face. The barreled action rides in a MDT LSS-XL Gen 2 Chassis. How did the test turn out? You’ll find all the results summarized in helpful tables with inch-by-inch velocity and SD numbers. 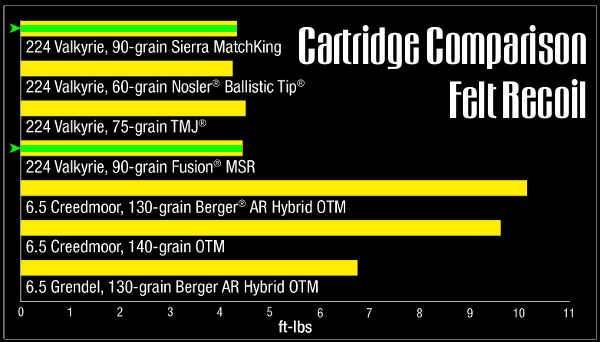 For the two, 90gr ammo samples, results were similar. 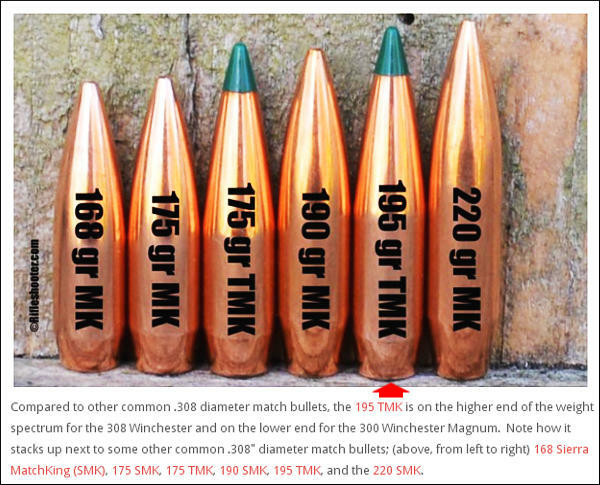 The 90gr SMK ammo started at 2782 fps (28″), finishing at 2541 fps (16.5″). That’s a loss of 241 fps, or 20.96 fps average per inch of length. 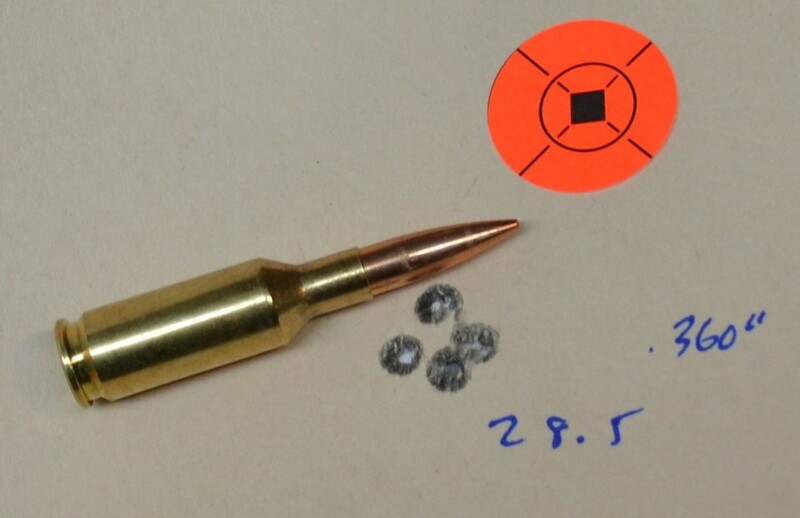 The ammo loaded with 90gr Fusion SPs started at 2797 fps (28″) and ended at 2561 fps (16.5″), a drop of 236 fps. That’s 20.5 fps loss per inch. NOTE: Ambient temperature during the test was 45° F. You could expect the overall velocities to be a bit higher during hotter summer months. With a the smaller bullets, the effect was even more dramatic. As you’d expect they started out faster. 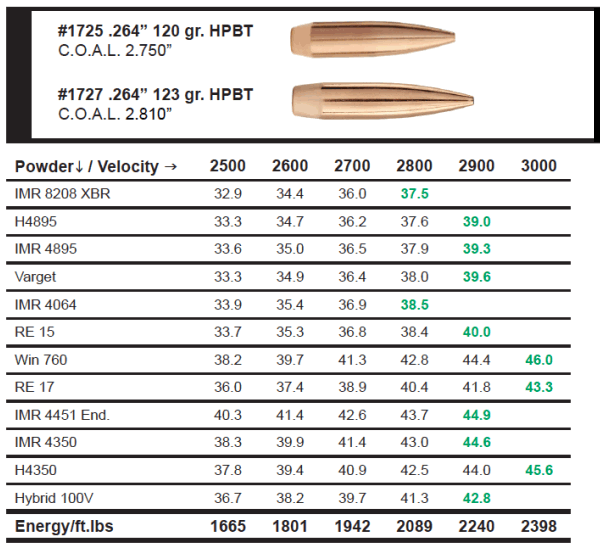 The ammo with 60gr Nosler Ballistic Tips (NBT), a good choice for varminters, started at 3395 fps (28″), and declined to 3065 fps (16.5), a total velocity drop of 330 fps. 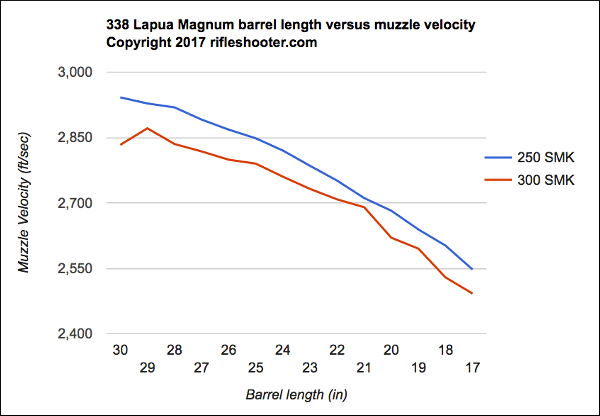 Average velocity loss was 28.7 fps per inch of barrel length. 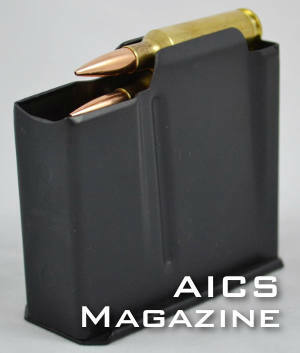 Rifleshooter.com also tested Federal 75gr TMJ ammo. Image from Social Regressive .224 Valkyrie Youtube Video. 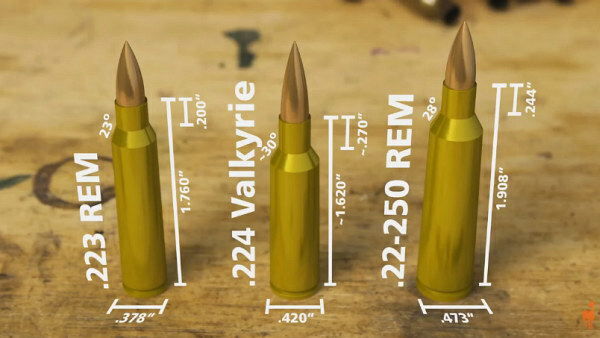 The new .224 Valkyrie is basically a 6.8 SPC case necked down to .22-caliber. You can use your existing AR15 lower, but you will need a dedicated .224-Valkyrie upper, or at the minimum a new barrel, modified bolt with proper bolt face, and 6.8-compliant mags. 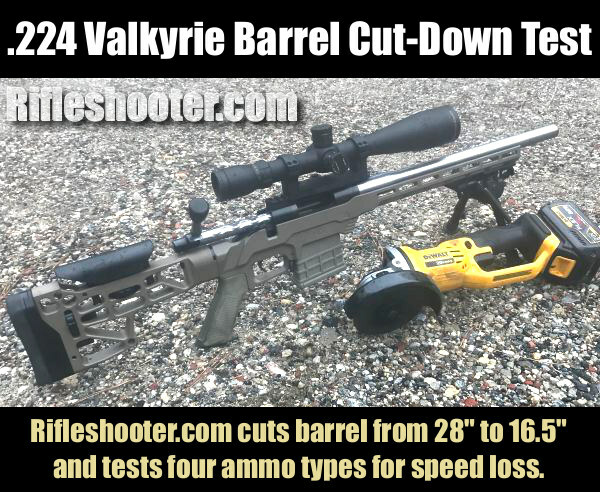 Share the post "Valkyrie Velocity: Barrel Cut-Down Test with 60, 75, 90 grainers"
Merry Christmas and Happy Holidays to all our readers and especially our 38,000+ Forum Members. 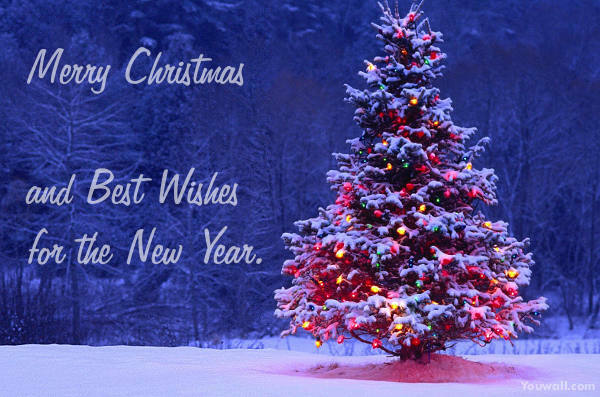 This marks our 13th Christmas “in business”, and the site is stronger than ever thanks to our contributing Forum members and industry sponsors. 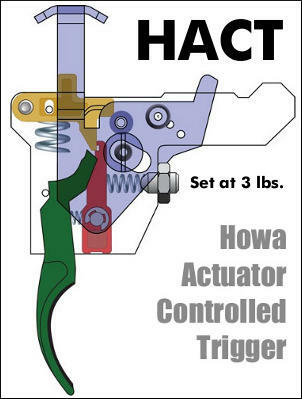 AccurateShooter.com is now accessed by over 500,000 visitors every month, who enjoy our Feature Articles, Daily Bulletin, Shooters’ Forum, and our Facebook Page. Part of the reason for that success is the hard work of our hard-working staff and volunteer helpers. I want to acknowledge those guys who have really helped out the site. Number one is our Systems Admin, Jay Christopherson. Along with being a darn fine shooter, Jay is a computer guru who keeps the servers running smoothly and maintains our Forum. Jay has set up distributed computing and secure firewalls, making the site both speedier and more stable. We must acknowledge Boyd Allen and EdLongRange who tirelessly supply story leads for the Daily Bulletin. Thanks also go to Jeff Williams, our “Answerman” who fields miscellaneous questions from our readers. 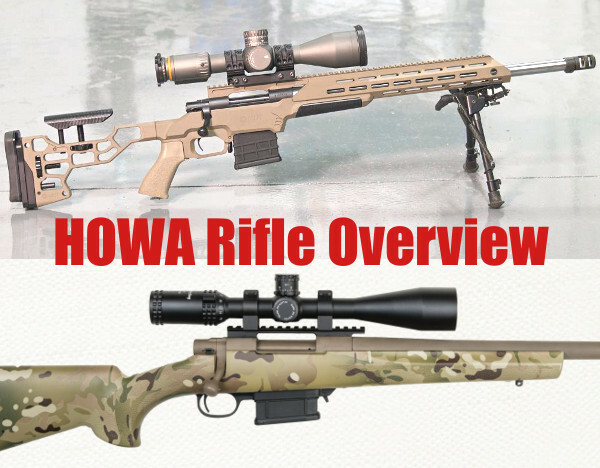 We have a great place to test rifles thanks to our valued friend (and designated trigger-puller) Joe Friedrich. 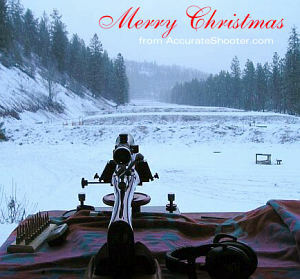 Special thanks go to: Ed Mobley and Steve Lawrence of 65Guys.com; Bill, Editor of Rifleshooter.com; and Erik Cortina. These folks have worked with us on important product tests and contributed stories and videos. I also want to recognize our regular contributors, including Vince Bottomley, Jason Baney, Mark LaFevers, James Mock, and John Whidden. All these men (and many others) have all contributed much time and effort. 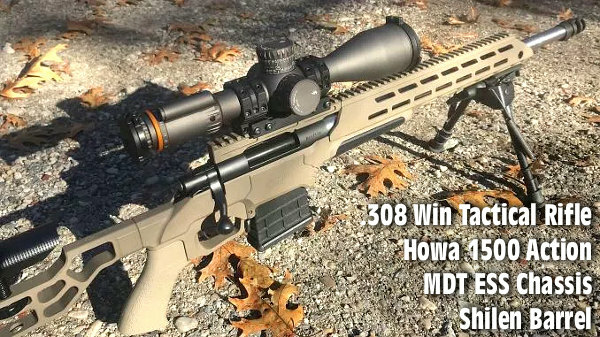 We also want to thank our major sponsors, without whose support the site could not provide the full AccurateShooter.com experience, with an active Forum, an archive of in-depth articles, and fresh content 365 days a year in our Daily Bulletin. We’re grateful to all our sponsors and advertisers. 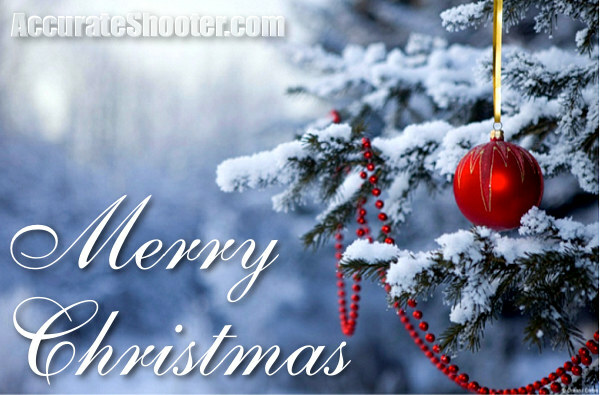 In particular, we want to acknowledge the major online retailers who have been strong supporters of this site for many years: Bullets.com (and Grizzly Industrial), Bruno Shooters Supply, Graf & Sons, EuroOptic, Midsouth Shooters Supply, Powder Valley Inc., and Precision Reloading. Their continuing support helps us keep up the flow of information and serve our readers and Forum members. 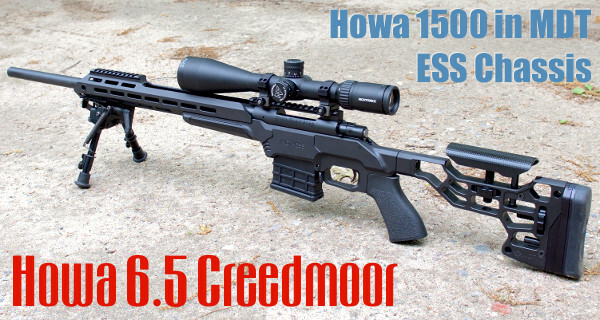 The 6.5 Creedmoor is a very popular cartridge with the tactical and PRS crowd. 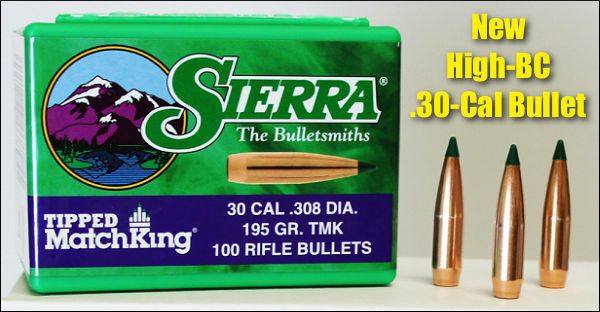 This mid-size cartridge offers good ballistics, with less recoil than a .308 Winchester. There’s an excellent selection of 6.5mm bullets, and many powder choices for this cartridge. 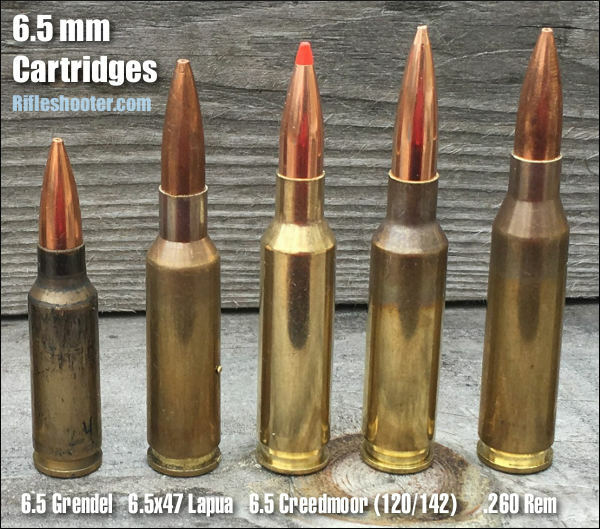 When compared to the very accurate 6.5×47 Lapua cartridge, the 6.5 Creedmoor offers similar performance with less expensive brass. For a tactical shooter who must sometimes leave brass on the ground, brass cost is a factor to consider. Here’s a selection of various 6.5 mm mid-sized cartridges. Left to right are: 6.5 Grendel, 6.5×47 Lapua, 6.5 Creedmoor with 120gr A-Max, 6.5 Creedmoor with 142gr Sierra MK, and .260 Remington. 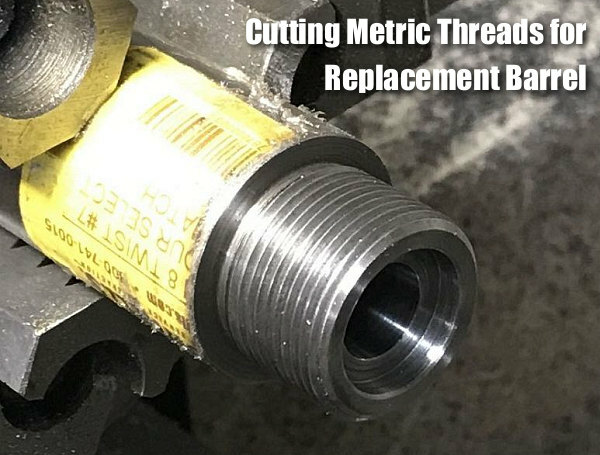 Share the post "6.5 Creedmoor — Velocity and Barrel Length — What to Expect"
Our friend Bill at Rifleshooter.com got his hands on some of Sierra’s brand new .30-Cal match bullets, the 195-grain Tipped Match Kings (TMKs). These feature an impressive 0.610 G1 BC above 2000 fps. 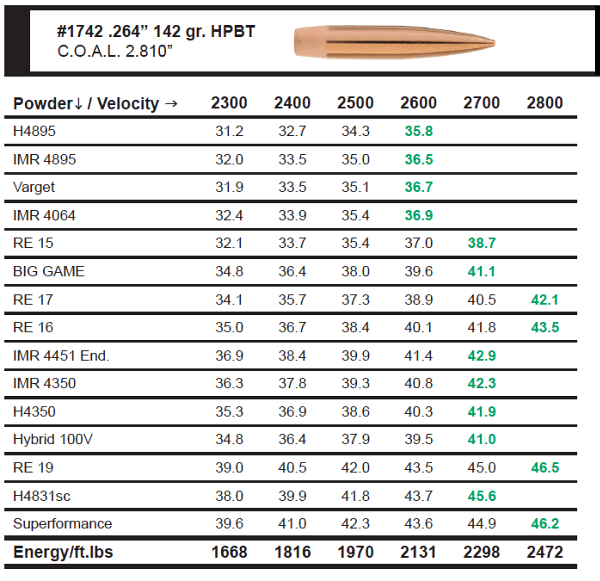 We predict these new bullets will be popular with F-TR shooters shooting the .308 Winchester cartridge. To see how the new 195gr TMKs perform, Bill loaded up some .308 Win ammo with IMR 4064, ranging from 40.5 grains up to 42.5 grains. That gave him a velocity range of 2438 FPS at the lowest charge weight, up to 2552 FPS at 42.5 grains. This was with a relatively short, 22-inch barrel. 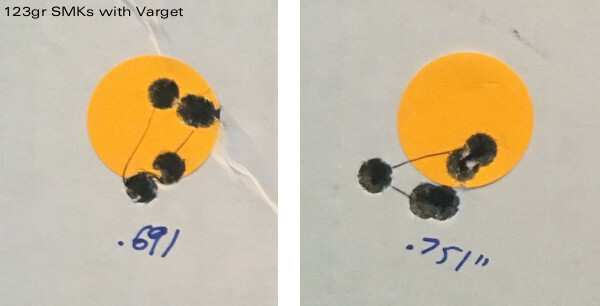 Best five-shot accuracy (and second lowest SD) was at 41.0 grains even, producing a 0.498 MOA five-shot group at 2480 fps (6.1 SD). CLICK HERE for full accuracy results. 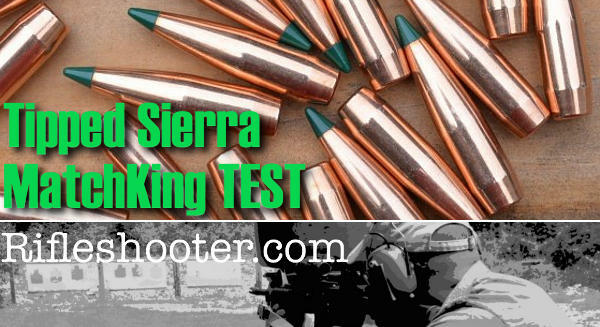 >> READ Sierra 195gr TMK Test Report on Rifleshooter.com. I headed to the range on a brisk November day. Targets were 2″ orange dots at 100 yards. All shooting was done prone from a bipod with a rear bag. The Nightforce 3.5-15X scope was set at 15X. All ballistic information was recorded with a MagnetoSpeed barrel-mounted chronograph. Temperature was 54° F. Standard deviation for the loads ranged from 5.3 to 20.5 FPS. Average standard deviation was 12.5 FPS. 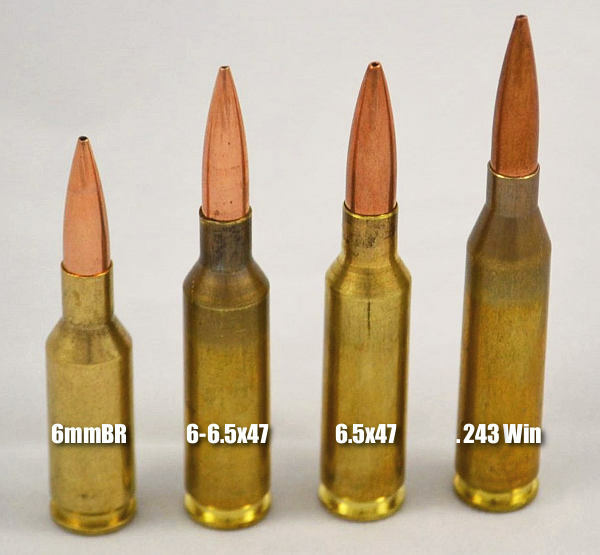 Five-shot group sizes ranged from .521″ (.498 MOA, ) to 1.057″ (1.010 MOA). 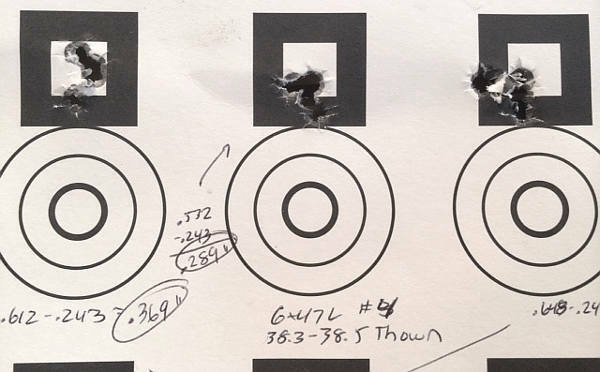 Average group size for all ten loads was .692″ (.661 MOA). Bill provides a full write-up on the Rifleshooter.com website complete with target photos and load details. If you are interested in these new 195-grainers, you should read the full report. 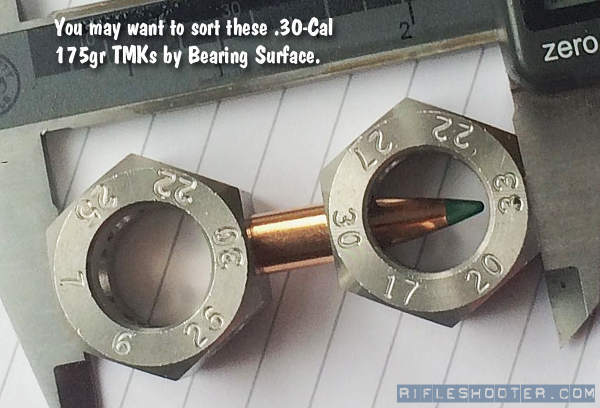 Share the post "First Test: Sierra .30-Cal 195gr Tipped Match King (TMK)"
Share the post "6.5 Creedmoor — Barrel Cut-Down Velocity Tests"